Your character is called the Dragonborn, having the soul and blood of a dragon and the body of a human/humanoid. The cover has an image of a dragon and the collectors edition had a giant dragon statue as well. The game has its own language and alphabet for Dragons, mysteriously created when a designer for the game went and brewed mead for a weekend. Notice the word “cast” in this verse, much like casting a spell. The Dragon Shouts (Thu’um) in Skyrim have you speak certain words of power for things to happen in the game world (with the addition of Kinect support you can say these words in real life as well). There is a shout called Frost Breath that covers your enemies with ice. This entry was posted in Uncategorized and tagged Bible, demonic, Devil, dragon, dragon shouts, evil, KJV, Skyrim, video games. Bookmark the permalink. God works in mysterious ways. I was going to send screenshots of Skyrim as well as break down lots of the plot to Pastor Mike Hoggard and send it to him for a possible watchman on the wall series, but God distracted. I thank God that I listened in as he mentioned this same exact game. I’ve purchased Skyrim about 2.5 weeks ago. And prior to doing so, I already knew that most of the epic video games (World of Warcraft, etc.) have specifically demonic undertone themes. However, I needed a break, was in need of a new video game, and wanted to try it out. 2. The Guardian Stones (there are 13 of them – one apparently representing every month of the year, except for the serpent stone.) Not only does it sound eerily familiar to the recent creation of a 13th zodiac sign (Ophiuchus the serpent bearer), but these stones, represent the missing male part of Osiris (Satan). The circle in the middle of the stone represents the female part of Isis (Mystery Babylon the Great) the mandorla. ( Watch the Watchman Broadcast 5.27.12 – The Queen of Heaven Pt. 2) Both will be used to birth the antichrist, or in Egyptian mythology, Horus. Also, on the Ritual Stone, is the eye of Horus (the antichrist.) It’s also not a coincidence that the stone’s attributes allows you to raise a dead body to fight for you. This is straight out of Revelations 13:3 – where the antichrist’s deadly wound is healed. 3. Lots of the armors and weapons in the game (Dwarven Warhammer for instance) has a bird on the top of it – these birds are Phoenix’s, that represent the antichrist rising out of the ashes of the pit of hell. The Mother is Revelation 17’s MYSTERY BABYLON THE GREAT, THE MOTHER OF ALL HARLOTS AND ABOMINATIONS OF THE EARTH (Isis) – and the child is the Anti-Christ. The sins of the unworthy being baptized in blood and fear is out of Revelations 13:15 and in other areas throughout Revelations when the anti-christ is going to kill millions upon millions of people upon the face of this world during the second half of the Great Tribulation. Based on just some of the evidence of this game, I think its also safe to conclude that the “enemy of the game,” a dragon named Alduin, whom the residents of Skyrim want to be stopped from judging and destroying Skyrim, seem to suggest that Perhaps Alduin is not literally our Lord and Savior Jesus Christ, but a Representation of Him. This entire game is not about simply having a good time playing a video game – but these messages are so subliminal that it is conditioning people to believe that the world is getting ready to be judged by some “angry God,” and we need to stand up and help usher in the way of the anti-christ so that he can fight and stop God’s judgements. Keep exposing these lies and keep up the good fight. We have to let people be aware of Satan’s devices. Thanks for the info! It really takes a player of the game who has discernment to find a lot of the symbolism and demonic activity. It’s amazing how the Bible has all the answers, and I thank you for the encouragement as well. God bless! Another subject you could mention in the game is the massive amounts of Necromancy in the game. Necrokancy is not just talking with the dead its raising them as undead too. The Draug is a prime example in the game of this, not to mentionall the quests fighting necromancers and necromancer devils, like that one Ponema. 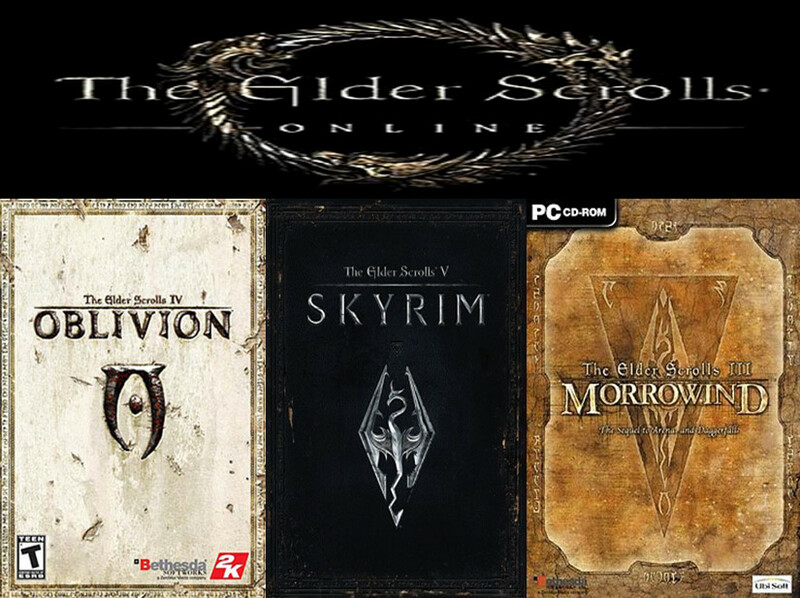 And then you have all those daedra questsor devil quests,not to mention the black mother in that assassin guild, dark brotherhood. And as many times before you have the cannibal cult, one of the quests in Markarth. Bethesda games had a cannibal cult in Fallout 3 if you remember,in that trainstation and Obsidian followed up with a cannibal cult in one of the Las Vegas families in Fallout Las Vegas. Another thibg are the heathen faction in the games, those in the reach wearing hides and stuff that have those hagravens as leaders, think about it, they are old crone and a bird fused together and they also create those undead warriors Briarhearts. Oh and you will now embark on a very interesting journey, ask the Holy Ghost to show youand he will expose more in the games and make you remember allsorts of occult things you never thought of or saw before. Its really awesome. A hint look at game covers and see how often you only get to see one eye of the person depicted and theothereyenot even on the cover or theeye darkened, go look in zechariah about the idol shepherwith the darkened eye, same thing with the hollyweird movie covers and posters. You have to excuse my poor english above, it was written on a pad, it’s really hard typing on them things. the high places, the Old Testament talks quite alot about high places. do a search there’s alot about them. In Skyrim you have for example that daedra (devil) Azura statue which to me looks like a representation of Mystery Babylon. Another is all those Dragon high places where you learn those dragon words you as the antichrist character shouts with, when they are not found in the tombs they are some times found in high places, and remember where the Dragon shout monstic cult Greybeards lives, the highest mountain in Tamriel and they as you might or might not know serve a dragon. High Hrothgar is the place. Other occult and satanic practices is that you can become a vampire and also you can become a werewolf. There’s plenty of occult stuff in this game, not to mention is crafting and enchanting, something to look up in your King James the word craft (which is a form of magic, spellcraft). And then there’s all the other magic in the game like the alchemy which basically is the same as the King James word about sorcery, sorceries. Because sorcery comes from the greek word Pharmakaeia which is the same you use for Pharmacy which is a store that sells drugs, you use a lot of potions in this game, so you have sorcery by drinking those potions. People not repenting of their drug use (sorceries), just look at today when they try to legalize all sorts of drugs. One more thing..Alchemy influenced modern medications. Also you may also choose to hunt for food rather then use the potions to begin with. Again ultimately not trying to be rude here but the ultimate decision is left up to the player not what’s around him in the game. 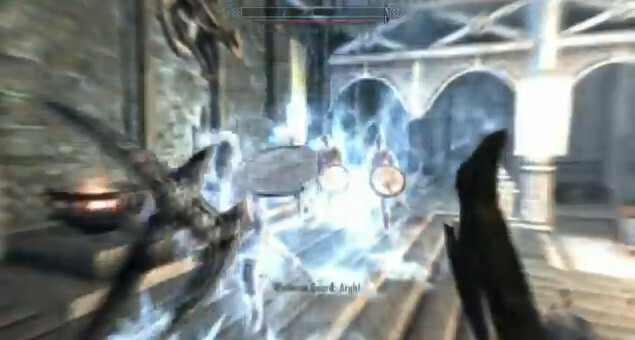 The Imperials came to Skyrim, and they made worship of Talos ILLEGAL. Stormcloaks got their heads chopped off for refusing to listen. Replace Storm Cloaks with Christians. Like Cindy said, we’re the last church. Whoops.. The last part about Cindy.. That wasn’t supposed to be there. I was explaining this to a friend, after we’d learned about the seven churches and I copied and pasted the message.. Haha! To be honest, I don’t believe this game is trying to copy the Antichrist and Jesus. I also don’t believe that the game itself is evil. There are evil people IN the game, like in every game. In every game there are the “bad guys”; however, Skyrim gives people the option to join with dark forces. We must keep in mind that it is an open world game with unlimited options. The game would not be as free if people did not have the option to choose between right and wrong options. i am a Christian that plays the game, and I always try to help the good people and defeat the evil people. Those are just my thoughts in the matter. God bless, everyone!